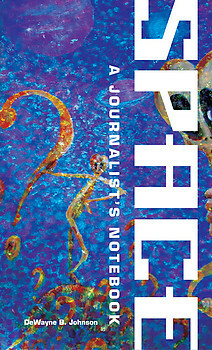 Space A Journalist's Notebook was commissioned by the New World African Press, Northridge California in 2005 for completion of pre-press work on the book project. The book is available for order on the publisher’s website; http://newworldafricanpress.com/ and also on various online retail stores including amazon.com. Space is actually two books for the price of one. In the first half of this volume, in that part labeled "Space for Speculation," the author takes a light-hearted but serious look into space, engaging in a challenging exploration of the nature of the infinite universe. The second half of this volume, "Flying Saucers: Fact or Fiction?" goes way back to the first extensive introduction of flying saucers to folks on Earth. At CSUN he was three times elected president of the General Faculty, an extreme honor accorded by his academic colleagues. Among othr professional honors and awards, he was twice saluted by the California Newspaper Publishers Association as the outstanding professor of journalism in California. He shared two Pulitzer Prizes awarded to the Los Angeles Times staff for its coverage of two disastrous riots.